If you have any questions or want to enquire about dates, use our form to contact Edward Crawshaw. It’s a steep climb through olive groves to reach the hamlet of El Cañuelo. Perched high in the mountains, with clear views to the 25 km-distant Med, it’s a wonderfully ramshackle place, and these renovated holiday homes with their higgledy-piggledy terraces merge charmingly into the traditional village; Rafael the goatherd’s house is opposite. Not plush, perhaps the place could do with a spruce up, but El Cañuelo is as authentically Andaluz as it gets. Note the rustic on-site bar, run by the ever-obliging Manolo. The locals are encouraged to treat it as their own, and gather to strum guitars and enjoy Manolo’s amazing fish soup. The guest houses themselves – TV-free and accommodating up to 34 in three casas, plus six casitas built into the hillside by the pool – are decked with fabulous reclaimed doors and windows, Moorish fixtures and old agrarian artefacts. Kitchen-diners are cosy; Manolo ensures each is stocked with tapas staples. Step outside and you’re in a bird-sung world of bougainvillea and sunshine: take to the village trail, explore the nearby markets or drink in the spectacular views. You can arrive and leave on any day of the week. Please contact Edward for rates for longer stays. Extra beds available in all casitas. El Canuelo is a real find for those in search of a quirky, hospitable and comfortable holiday break in real Andalucia. The mood is as a drop-in, drop-out house party with congenial other guests to talk to, or not as you see fit. Self catering is a genuine option but the bar and restaurant are beguiling alternatives. The whole experience is hosted by the engaging Edward and the ever helpful Lucy. The view, the mood and the charm make it a come-back-soon place; and we shall. Choosing to stay at El Canuelo this holiday was undoubtedly one of the best decisions I have ever made. Its utterly beautiful views and casitas astounded me, and I will CERTAINLY be making a booking here again! Just perfect. An amazing place so far off the beaten track. Like finding an oasis after a three hour walk! The views were unbelievable and we had a long lazy lunch on the terrace soaking up the sun, the view and the vino. We plan on returning this year. 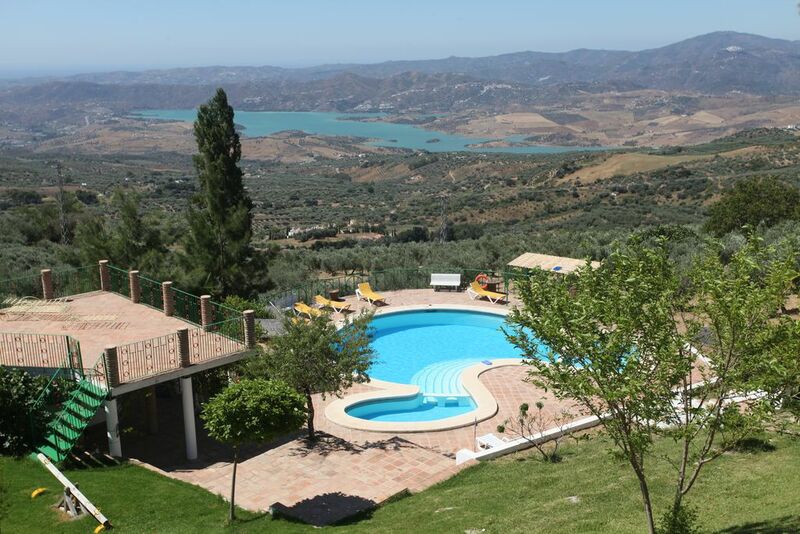 A lovely hideaway high above Lake Vinuela, so stunning views across the valley and down to the sea. You could spend hours just looking out from the balcony of the casitas. Food was excellent (large portions of delicious meat). Our kids (9 and 6) loved playing in the grounds, made great use of the pingpong table and games in the restaurant. Meeting owner Mags was an extra treat! Cold winds when we got there and the casita was a bit chilly, but nothing a lovely fire in the wood burner couldn't solve (next time we know to contact Manolo and ask him to warm it up in advance). A wonderful place to stay. Great views in a tranquil setting. The food in the bar is very good too. There is a lovely calm atmosphere in this mini-village with its own bar, yummy food and a pleasant swimming pool. The accommodation is quaint and homely, and suitable for families or groups of all sizes. Its not far from Malaga airport, nor crystal clear beaches if you wanted to take a day trip. I had a wonderful relaxing trip, thank you Mags! My wife and other friends and members of our family have visited and stayed at El Canuelo regularly over very many years. El Canuelo is a small hamlet of traditional Spanish Houses and casitas which were built or restored by the present owners some twenty years ago. If you are looking for a taste of rural southern Spain this is the place for you. 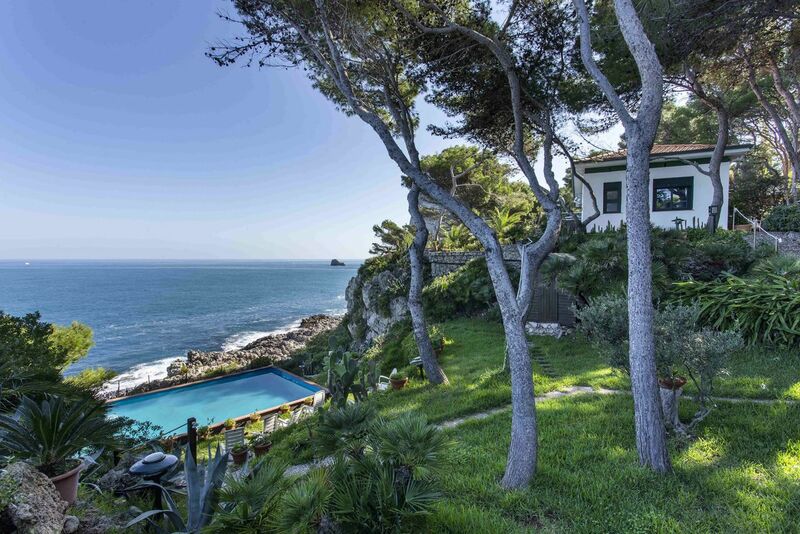 Set around a swimming pool with a Disney style appearance and amazing views to the coast where on a clear day it is possible to just see north Africa. Adjacent is a bar and restaurant. Approximately one hour from Malaga airport. Car is essential. Rural Spain at its best.Wonderful views ,nice swimming pool. Lots of scope to explore Andalucia from here. .Food excellent and good local wine. El Canuelo is very special, both in its superb location and its relaxed atmosphere that makes you feel totally at ease from the moment you arrive. Mags hosts and runs the place with natural charm, and nothing is too much trouble for Manolo as he efficiently serves up delicious local food. I have been back many times and never tire of the extraordinary view from the bar and dining terrace, so perfect with a glass of chilled white wine and a plate of tapas!! We've been to El Canuelo so many times over the past 20 years that I've lost count. Each return trip provides a spectacular view down the valley and across the reservoir to Africa (on a clear day), generous hospitality and a convivial atmosphere. But there's more to the magic of Canuelo; the light shifting from gentle in the spring to a whispering summer haze, the locals, the sudden appearance of a goat, some spontaneous flamenco in the bar, happy laughter coming from adventuring children. So relaxing and, always, full of precious memories to take home. I have stayed at El Canuelo a couple of times over the summer months. The village is absolutely beautiful and serene - it is set up in the hills with gorgeous views over the Spanish countryside - and has a wonderfully chilled out, traditional vibe. The casitas, pool and bar offer a very simple and relaxed environment to unwind and spend time with friends and family, but if you're seeking diversion there are also a number of options for trips to nearby towns (including Malaga) and beaches galore. Mags and her family are the best hosts. I've no doubt I'll return! We are surrounded by gorgeous pueblo blanco, white villages, each one worth a wander around and a stop at the local Bar for a tapa or a lunch, a visit to the local olive oil factory, or just enjoy the fantastic old doorways! The hot springs of Alhama de Granada are well worth a visit, wander down the side of the river into the pools of hot water, springing out of the font, from deep underground. Take your swim suit and a towel! really lovely late at night under the stars. Just above el Canuelo runs the old railway line, not used since the 50's, along it you can walk, run, cycle or horseback ride taking in the spectacular views whilst enjoying the solitude of the area. In the summer months you'll see groups of bee eaters . El Canuelo is a very good base for visiting four great 'must see' places in Southern Spain, Malaga, Seville, Cordoba and Granada. Don't let life slip by without visiting each of them!